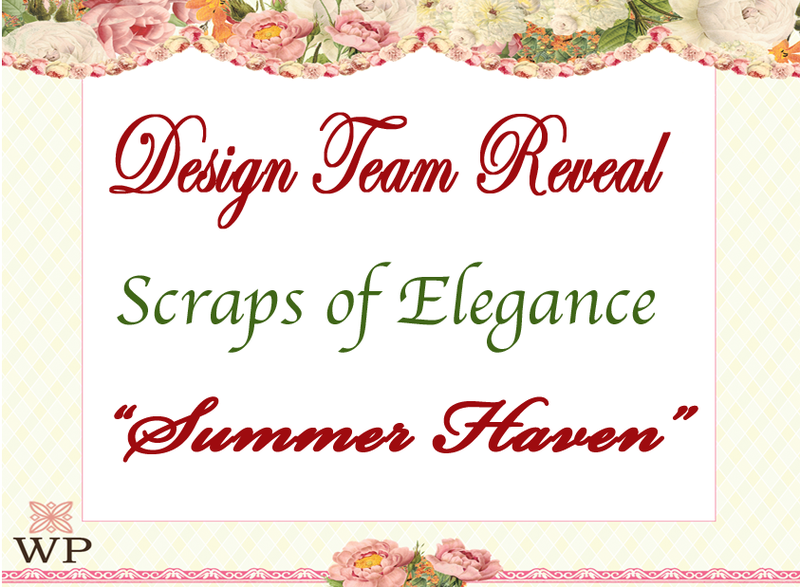 Good Morning My Dear Friends, Today is reveal day here at Scraps of Elegance. 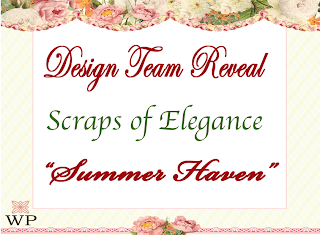 This month's kit is called "Summer Haven" and is just gorgeous. 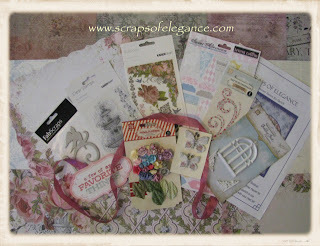 Mel put together another beauty full of gorgeous papers from Kaisercraft, Fabscraps, and Teresa Collins. You really should grab one of these beautiful kits while you can. I was only able to complete one layout and small mini clear acrylic album this last weekend. I've been suffering from a major migraine headache for several days now. So I will have more layouts from this kit once I get over this migraine, so stay tuned!! I had fun with this kit and really hope you enjoy. 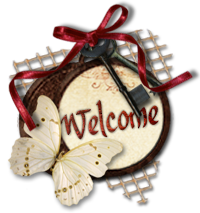 Thanks so much for all your sweet comments! !